[William Hutton, Birmingham bookseller and local historian.] 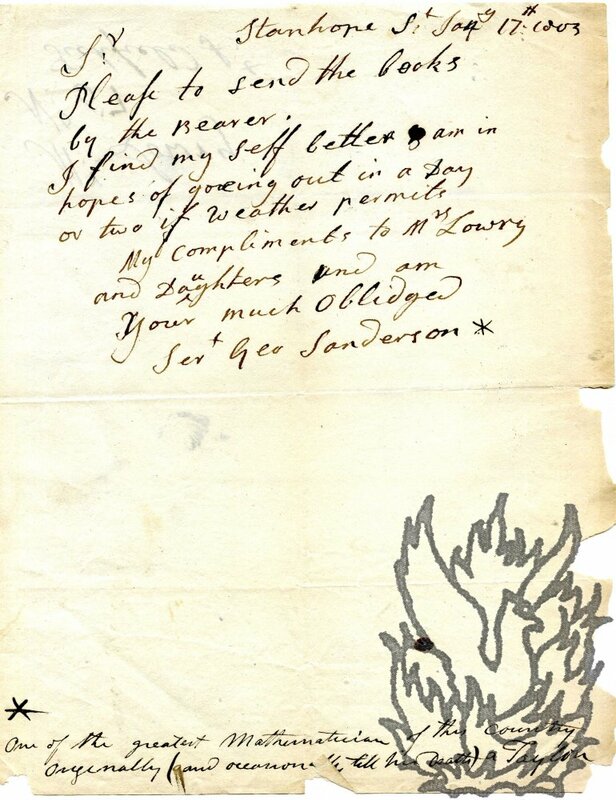 Leaf of 'unpublished poems, composed by, and in the Autograph of, William Hutton', with note by 'WB'; and fragment of his daughter Catherine Hutton's handwriting, 'when 87 years of age'. Neither item dated. The explanatory note by 'WB' dated 1843. Both items are laid down on a 12mo leaf extracted from an album. All in good condition, on lightly-aged paper. Laid down on the reverse of the leaf is an early eighteenth-century engraving of a man (William Hutton?) holding a book. 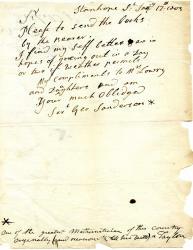 The explanatory note, on one side of the leaf from the album, reads: 'This Leaf, given to me by Mr. Samuel Hutton, High Street, is taken from a Volume of unpublished poems, composed by, and in the Autograph of, William Hutton. | That below which I received from Mr.
[Catherine Hutton, novelist.] Three Autograph Letters Signed to Birmingham bookseller James Belcher, discussing in moving terms her nursing of her elderly parents, her plans for a future book ('my incipient Queens') and 'Dr. Hutton's bust'. All three items in good condition, on lightly aged paper. ONE: 4 December 1821. 3pp., 12mo. Bifolium. The letter, which concerns her plans for a book, begins: 'My dear Sir | In consequence of your opinion, I send a prospectus for Mr. Dawes [the critic Manassah Dawes (d.1829)? ], which you will have the goodness to forward at a proper opportunity. But for this opinion, I should not have had the courage to apply to him, though the refusal of two persons ought not to prevent the application to a third. 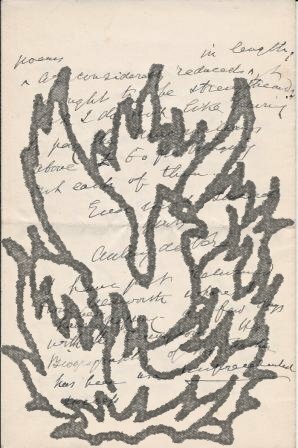 Nothing in my opinion could have been more certain than the subscriptions of Mr.
Autograph Letter Signed ('Geo Sanderson') to Lowry. 17 January 1803; Stanhope Street, London. 8vo, 1 p. Text clear and complete. On aged and creased paper, with chipping to extremities. Thin strip of stub adhering to reverse, which carries the address in Sanderson's hand: 'Mr: Lowry | No: 57 | Tichfield St:'. He asks him to 'send the Books by the Bearer. | I find my self better & am in hopes of goeing out in a Day or two if weather permits'. He concludes by sending his compliments to Lowry's wife and daughters. Docketed in a contemporary hand at foot of page: 'One of the greatest Mathematicians of this country | Originally (and occasionally till his Death) a Taylor'. Autograph Card Signed [to Rev. E. J. F. Davies]. One page, on back of printed postcard. Very good. Photograph of the Via Appia on reverse. Reads 'Dear Sir | In reply to your request I have pleasure in sending you this'. 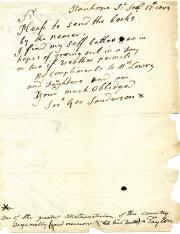 Autograph Letter Signed to Thomas Thompson of Liverpool. Two pages, quarto. Well preserved, on good lightly-aged paper, but with the original piece of paper (which was roughly nine inches by seven and a half wide) now neatly cut into three strips (the top and bottom of which are two and three-quarter inches high, and the middle three and a half inches high). The text is extremely neatly written and entirely legible, and the whole easily repairable with archival tape. 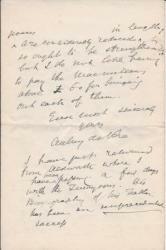 The whole of this long, interesting letter (thirty-five lines and a two-line postscript) is given over to the current craze for autograph collecting (for which see A. N. L.